Pests invading a rental property can lead to all sorts of trouble. People don’t like homes infested with creepy crawlies nor the sanitation and health issues they pose. 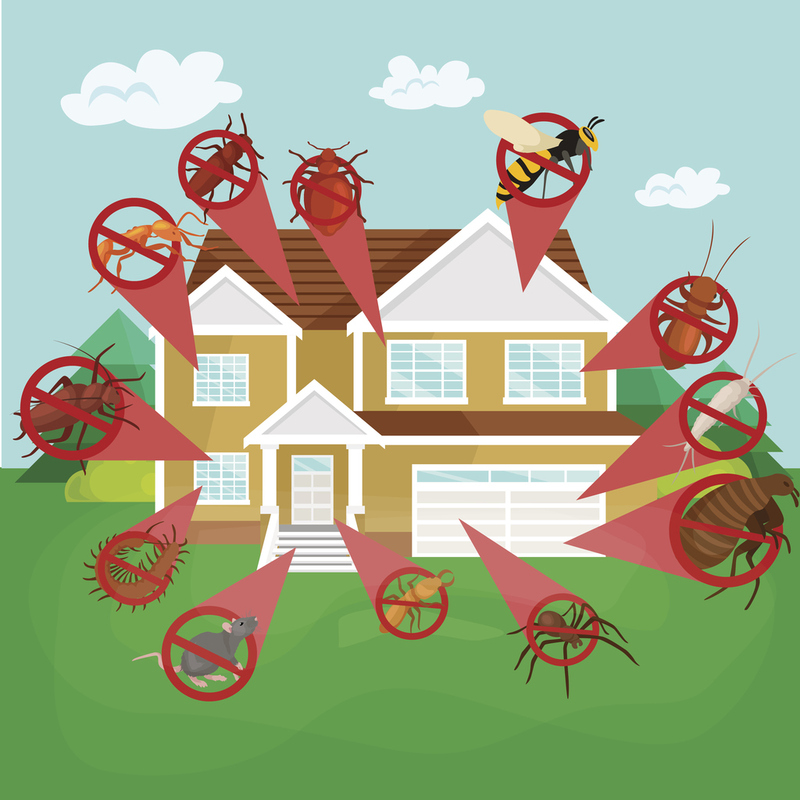 Even if pest control is usually the renters’ concern, keeping your single-family rental homes free of common pests needs to be an important component of your regular maintenance plan and should be something you assist your renters with managing. At the same time, spraying dangerous chemicals in and around a home is not always the best decision. Residents with pets and children might be anxious about pesticides affecting their loved ones. Residents with specific health conditions can be in danger as well. If this is the situation, then natural remedies for pest control is for you. A couple of expert exterminators claim to use natural products, and those are worth researching more about and perhaps compiling a list of preferred providers for your residents. But, there is also some natural and safe way for you and your residents to keep your Central rental homes pest-free. One natural means to control entry points for insects in the house is to use coffee grounds. As many household pests don’t enjoy the smell, sprinkling your used coffee grounds in spaces where you think the bugs are coming through might be just as successful as a spray. If you find aphids eating the landscaping in your yard, try burying a banana peel next to the affected plant. This will enhance the soil and keep your yard bug-free. If fruit flies are bothering you in the kitchen, consider utilizing apple cider vinegar to eliminate them. Simply put some apple cider vinegar in a little bowl, cover with plastic wrap, and poke a few small holes on top. They’ll be attracted to the vinegar but will then be caught under the plastic. No more fruit flies! Try having a pot of sweet basil next to your door to repel other types of flies. Rosemary and sage are two other herbs that help keep mosquitos at bay, a little anti-pest herb garden in the process. Ants are another common pest and could be hard to expel. Try pouring cornmeal in tiny piles where you’ve observed ants, inside and out. The ants will devour the cornmeal, but can’t digest it, and are going to die out eventually. Another cheap and effective remedy is to combine dish soap with water in a spray bottle and spray the ants and where they enter through. Some people also include peppermint oil or leaves, which is effective in keeping mice away too. Successful pest control doesn’t need to be a health hazard or cost much. Nevertheless, you need a property management company that can help get the best solutions to unwanted pests if your Central rental property does get invaded. At Real Property Management Baton Rouge, we provide personalized and comprehensive property maintenance that is guaranteed to guard your real estate investment, whether from pests or anything else that could bring down your property value. For more information, please contact us online or call us at 225-389-6860 today!